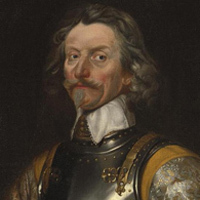 The Battle of Naseby on 14 June 1645 is the last and most important battle of the First Civil War (1642-45), a decisive victory of the Parliamentarians under Sir Thomas Fairfax and Oliver Cromwell over the Royalists under King Charles I and his nephew Prince Rupert of the Rhine. During the 1620s there are frequent clashes between James I (reigned 1603-25) and his son Charles I (1625-49), and Parliament. 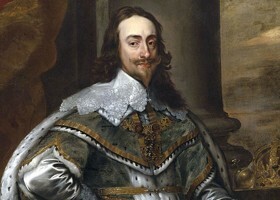 Between 1629 and 1640 Charles I, determined to impose his doctrine of the Divine Right of Kings, rules without Parliament. 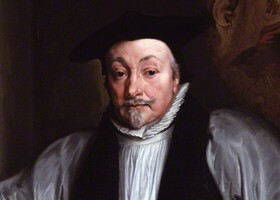 William Laud, his Archbishop of Canterbury, attempts to impose High Church Anglicanism despite the protests of the Puritans. 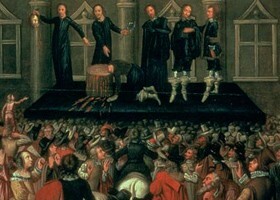 In Scotland, similar protests by the Presbyterians provoke open rebellion and the king is defeated by the Scots in Two Bishops’ Wars in 1637-39. 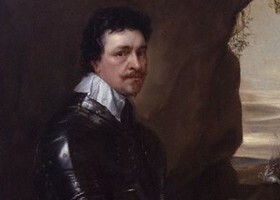 In 1640 the king recalls Thomas Wentworth, Earl of Strafford, from Ireland and summons Parliament. 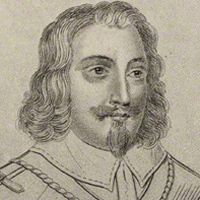 Under the leadership of John Pym, the Parliamentarians immediately attack Strafford, who is impeached for plotting to bring an Irish army over to England. 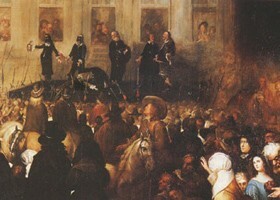 He is tried, found guilty and executed in November 1641. 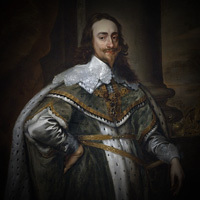 In April 1642, after failing to arrest his five leading opponents in Parliament, the King leaves London (he will only return for his trial in the winter of 1648). He establishes his head-quarters at Oxford, while the Parliamentarians remain in control of London. 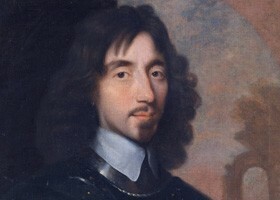 The first major engagement of the Civil War takes place at Edgehill in October 1642. The battle ends in a draw but the Royalists fail to advance on London. In 1643 the Royalists attempt a three-pronged advance on London from the north, from Wales and the south-west. Despite winning a number of battles and capturing Bristol they fail to make a decisive breakthrough. 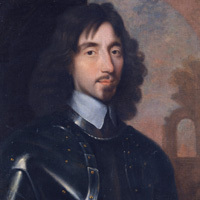 Following secret negotiations between Parliament and the Scots, a Scottish army invades Northern England in January 1644. 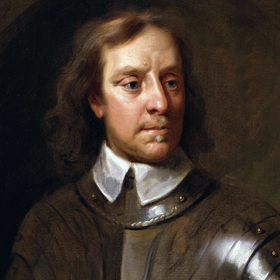 On 2 July, at Battle of Marston Moor outside York Prince Rupert is defeated by combined Anglo-Scottish army – Oliver Cromwell plays a vital role in winning the battle – Royalists lose control of the North of England. 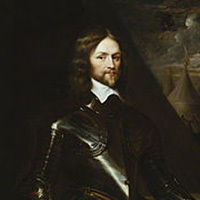 During the winter Parliament creates the New Model Army, a body of full-time professional soldiers led by professional officers (MPs and peers were forbidden to serve) with Sir Thomas Fairfax as commander-in-chief. 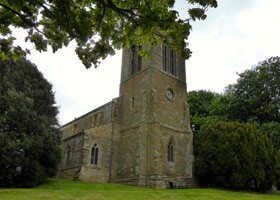 Evening of 13 June Parliamentarian patrol led by Ireton clashes with a small detachment of Charles's Life Guard at Naseby – Royalists captured playing quoits in the church. 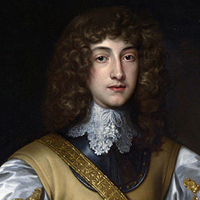 Royalists divided - Prince Rupert and Astley advocate continuing north, but outvoted – decision to turn and fight. Neither side can see the other. 14 June 8 am Royalists fear their intelligence is wrong and send scoutmaster Francis Ruce to discover whereabouts of the New Model Army – he fails to spot them. Fairfax and Cromwell decide to move from ridge across Mill Hill, to Closter and Sheddon Hills overlooking a flat bottomed valley called Broadmoor. Rupert, decides to look for himself & sees New Model Army moving towards Mill Hill - calls for the king to move Royalist army. Royalists march south before turning west across Moot Hill, east of Sibbertoft (Moot Hill Viewpoint) before turning south again and onto a ridge on the other side of Broadmoor called Dust Hill. Artillery & baggage trains march through the village of Clipston before turning right along the narrow lane towards Sibbertoft. 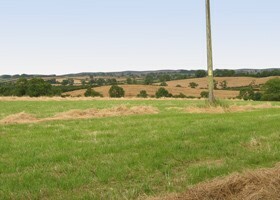 The two sides form up on the ridges on either side of Broadmoor, flanked by Sulby parish boundary hedge to the west, and scrub, furze and bog of the Clipston parish boundary to the east. Both sides placed their infantry in the centre with the horse on each wing. The Royal army was drawn up in three lines with musketeers interspersed with the horse on each of the wings. 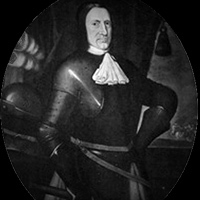 Commanded the Royalist's forces despite his inexperience. 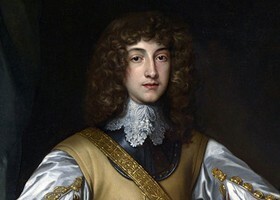 His most notable success had been the defeat of the Earl of Essex's army at Lostwithiel in the autumn of 1644. 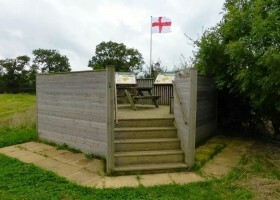 Commanded the infantry at Naseby. After the battle he continued to fight on, surrendering the last Royalist field army at Stow-on-the-Wold in 1646. A Catholic Yorkshireman, he was another outstanding cavalry commander who had fought in all the major engagements in the North of England. A cavalry commander of flair and courage, who had served in the Thirty Years’ War. 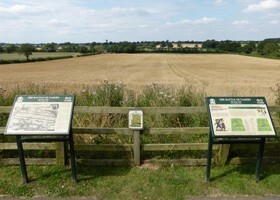 Despite initial success, Rupert was defeated at Marston Moor. With his brother Prince Maurice he was regarded as a great but impetuous cavalry commander. The Parliamentarian army was drawn up in two lines with a forlorn hope of 300 musketeers in front and to the left hand side of the infantry. Fought for the Parliamentarian Northern Army up to Marston Moor. 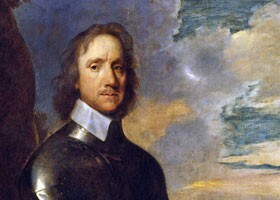 On the creation of the New Model Army in 1645, Sir Thomas was appointed Captain General. 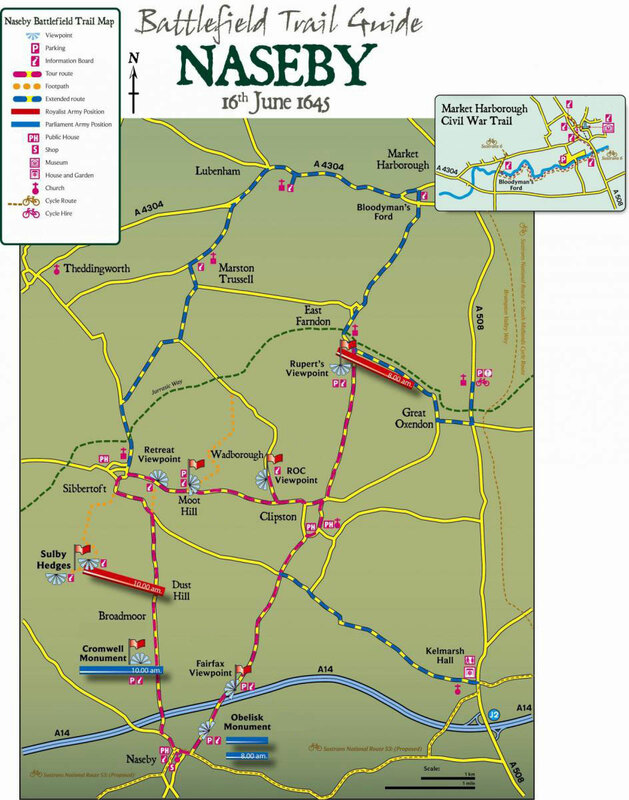 The first major engagement of this highly disciplined force was the Battle of Naseby. A brilliant cavalry commander with the Eastern Association, notably at Marston Moor. Appointed Lieutenant-General in the New Model Army at Fairfax's request, although he should have been debarred as an MP. 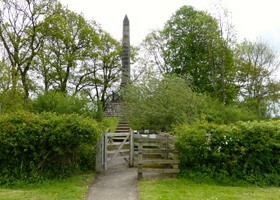 Commanded the cavalry at Naseby. 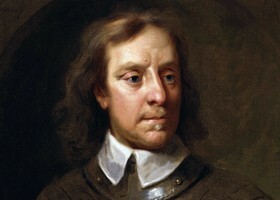 Served under Cromwell earlier in the war and was appointed his second in command at Naseby, commanding the left wing. Later married Cromwell’s daughter. 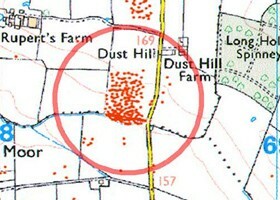 Cromwell sends Colonel John Okey and his dragoons to Sulby Hedge to harass the Royalist right flank (see map – Sulby Hedge Viewpoint). Their fire power may have forced Rupert to advance prematurely. Rupert’s horse advance at a slow trot, pausing in the bottom of the valley. Ireton's cavalry advance to meet them. The two sides meet and three of Ireton's regiments break and are put to flight, with Rupert’s men in pursuit. The Royalist infantry advance across the valley floor and up the slope towards the New Model Army, (see map – Cromwell Monument Viewpoint) standing just beyond the crest of the ridge. The weight of the Royalist assault falls on the left hand regiments of the New Model Army, their line pivots and starts to fall back. Those of Ireton’s horse who have survived Rupert’s charge attack the Royalist flank. Ireton is wounded in the thigh by a pike and in the face by a halberd. For a while, the Royalists seem to be winning, but the Parliamentarian second line fill the gaps and strengthen the weaker regiments. Those that have retreated rally and rejoin the battle. Soon their greater numbers begin to tell and the Royalist infantry begin to fall back. 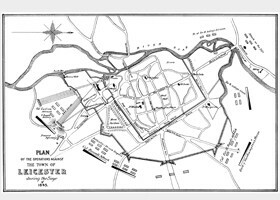 On the eastern flank Sir Marmaduke Langdale's cavalry, hemmed in between the rabbit warren and furze-covered bog to the east and Fairfax’s infantry to the west, charge uphill but do not break Cromwell's men who take heavy casualties but thrust them back. Having defeated Langdale, the majority of Cromwell’s men turn left to assault the flank of the Royalist infantry. At around the same time, Okey’s dragoons leave the safety of the hedge and hit the Royalists in the opposite flank. 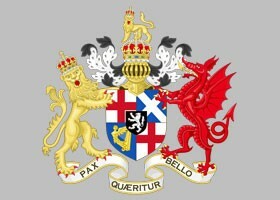 The Royalists are now being assaulted on three sides. Soon they began to retreat. Many give up and surrender but Rupert's own infantry regiment, the Bluecoats, stand firm. They are finally defeated by Fairfax and his regimental commander D'Oyley. 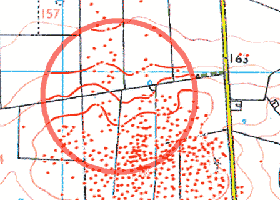 The Royalist army flees through the deserted village of Nobold towards the Sibbertoft to Clipston road (see map - Retreat Viewpoint). 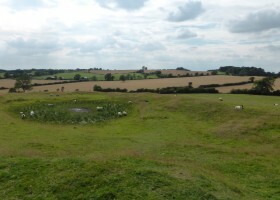 Near Clipston Rupert’s Welsh camp followers are mistaken for Irish women and massacred. 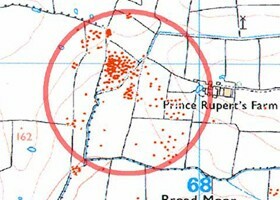 Between Moot Hill and Wadborough, the next height to the east, some Royalists make a stand (see map – Retreat, Moot Hill and ROC viewpoints). It is probably here that the King is prevented from launching a counter-attack by a Scottish nobleman, the Earl of Carnwath, who seizes his bridle, saying: "Would you go upon your death?, before leading him away. The flight continues towards East Farndon, Market Harborough and Marston Trussell. In the Royalist camp the victorious Parliamentarians find Charles I’s personal correspondence, showing his plans to reinforcements from the Catholic powers on the continent. Parliament publishes the correspondence as 'The Kings Cabinet Opened'. 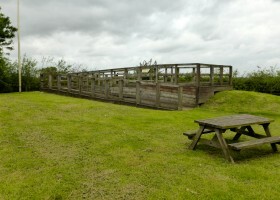 The Battle of Naseby was the last major engagement of the First Civil War. 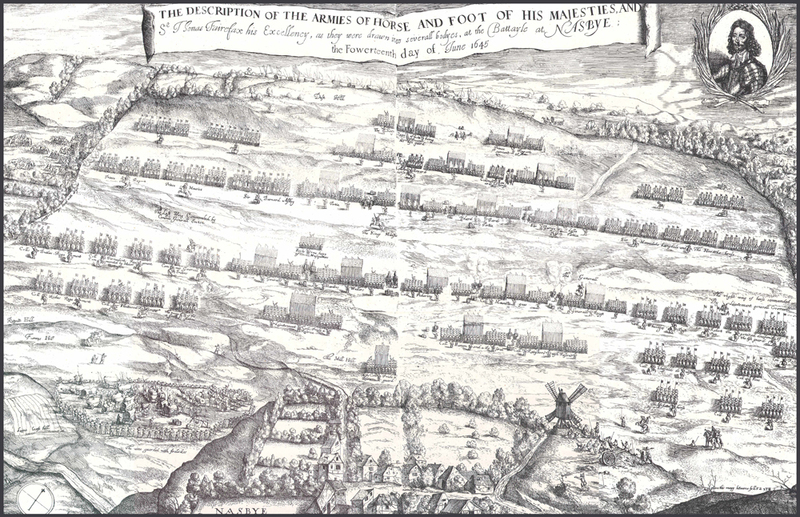 Although fighting continues into 1646, the Royalists are a beaten force. Charles I flees into Wales before surrendering to the Scots at Newark in 1646. The Scots negotiate the sale of the king to Parliament for £100,000. He is kept under house arrest but continues to negotiate with his former enemies. Cromwell and Fairfax defeat the Scots. Pride’s Purge of moderates in Parliament leads to the decision to try the king for his misdeeds.